I was born in Port Lincoln, South Australia and moved to Nowra on the South Coast when I was 17. 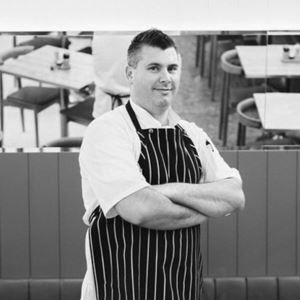 After working with my mother, in the famous Boatshed Restaurant, my passion for food really started to flourish. 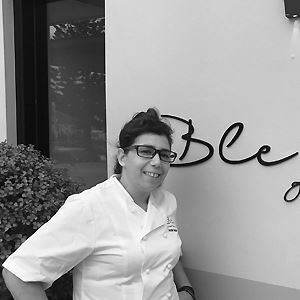 My quest for food then took me to Kangaroo Valley, where I worked with Sydney chef, Kate Winters. I wanted to learn more and was eager to get the best techniques and produce under my belt, so I moved to the big smoke (Sydney). I started my apprenticeship with Captain Cook Cruises which gave me great experience and was the start of my career. I soon moved on to the Centrepoint tower where I completed my apprenticeship. 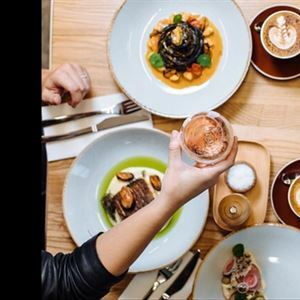 My road soon lead to Barnaby’s in Parramatta, with a thirst for something different, I went into European catering where I learned the finer details of high volume catering and intricate plating. Then came the best position I could have hoped for, as a Chef de Partie at the much lauded 3 hatted Banc restaurant under the guidance of Chef Liam Tomlin. As I moved onto Carpaccio in Leichhardt, it enabled me to make my appearance on the second series of master chef with their feast outside challenge between Carpaccio and Moretti’s. My next head position was at Oliveto’s in Rhodes before I moved onto my next big venture with Chef Danny Russo at Eatalia in North Strathfield. After a stint in Café Sicilia in Surry Hills where I was doing traditional Sicilian dishes that were a huge hit with the locals. My first group executive role was at Criniti’s, looking after 5 restaurants, changing menus and training up to 75 chefs. This is where we won the I love food awards 3 years running for best Italian. 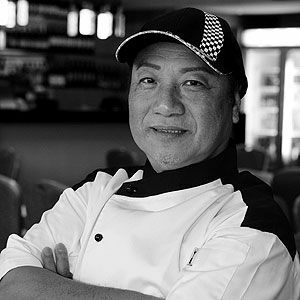 I am currently the Executive Head Chef at II Bacio. Since the age of 6 when I won first prize for my pumpkin scones in the Nowra show, cooking has been my passion and I had no interest to do anything else. 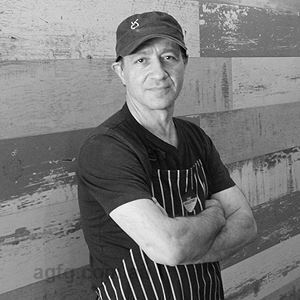 It’s always been about food, where it comes from, seasonality and the history behind it. Simplistic with a modern twist. What is your featured flavour these days? It’s not so much the featured flavour, its doing things with the accompanying components to bring the most flavour and texture out of the main component of that particular dish. Anything gel or powdered also. Liam Tomlin, Marco Pierre White, Marcus Wareing, Jason Atherton and Jason Howard. Praise, team accomplishment and knowing where to eat. An ingredient you cant live without? Sugar! I love desserts and anything sweet. Housemade squid ink spaghetti - prawns, museels, nguja and roast tomato. Showcasing a passion for Italian fare, fresh pasta and pizza, Il Bacio is the new bambino on the Darling Square block. Nestled in the CBA Building, this modern cucina offers an intimate setting at any time of the day and night, with blond wood furniture creating a chilled out vibe, while sage green walls and tan leather bench seating add an elegant touch. From a seasonally changing menu, expect love on every plate from breakfast classics like avocado on charcoal sourdough with tomato and goats cheese, to a salmon power bowl with frekkah, sour apple and labneh. Those visiting later may be tempted to start with mushroom arancini balls, truffle aioli and kale chips, before mains such as gnocchi with zucchini flowers, prawns and pecorino romano; teamed with a glass from an extensive wine list.